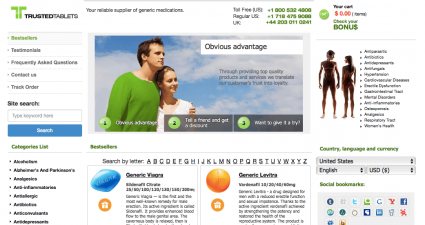 Classictabs.com is an online pharmacy dealing with medications to improve your sexual life. The Online pharmacy claims to provide high quality medications at your doorsteps. Some of the pharmacy’s best sellers include Soft tabs, Viagra, Levitra and Cialis. The online pharmacy is controlled and operated under the supervision of licensed pharmacists. The pharmacy has their own doctors who review your application. Depending upon your case and prescription, they can accept or reject your application for these meds. The customers can contact the website through the contact number provided on the website. The customers support staff is available during the weekdays to guide the consumers, if they have any questions or queries. On weekends however, customers can leave a voice message. The medications are shipped all over the world within 3 to 6 working days. The order can be made directly through the website. The website accepts Visa, Master and discover cards for payments. The prices are not listed on their website. Customers have to email them or contact their support to learn about the prices of their listed products. Instead, the product pages provide complete description of the drug with a detailed information about how to use, side effects and other information. 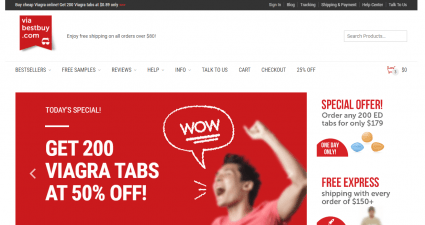 It seems as if classictabs.com is not operating anymore since there are no customer reviews. There was hardly any negative or positive comment about the online pharmacy. The website itself does not have a “Customer Reviews” section that gives an impression that the website has gone bankrupt. Although, we could not find the customer reviews, we did check its legitimacy on several scam alert websites. Almost all of them labeled it as an unsafe source to buy drugs. 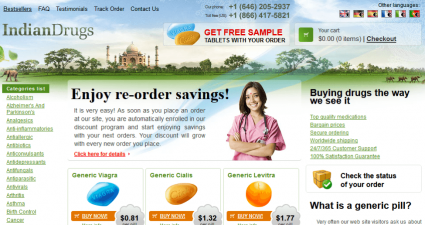 Legitscrip.com, which is one of the most renowned websites for checking the authenticity also unapproved the pharmacy. We would certainly recommend not to make purchase from the website, since there is no evidence that can support its legitimacy. All in all, based on the limited evidence available online about them, the online store enjoys poor online reputation. The story remained the same this year too. We looked for any sort of customer reviews for 2015 but there was absolutely nothing. It is highly likely that the pharmacy is on the verge of shutting down, or they are perhaps not operating at the moment. All that, however, is based on assumptions and we are still unsure exactly why there is no customer feedback. As for now, the pharmacy does not seem to have any recognition amongst the customers. Yet again, the scam alert websites did not approve the pharmacy. Almost all of them labeled it as unsafe. Scamadviser.com along with other websites also label it as having malware. All these factors and the limited number of meds sold by the pharmacy put enough doubt to believe that it certainly unsafe. Classictabs.com sell wide variety of medications, however, there are no discount coupons or even deals on any of their products. The website does provide all the details and benefits regarding the meds but no deals or discount coupons are provided by the online drug store. The price of the medications is only visible when you are making a purchase in the “Order Now” section. Classictabs.com is certainly not one of the nicely designed websites. The outlay is pretty simple with nothing special to admire. There is also lack of information on the front page. 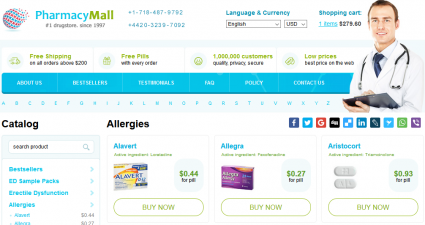 For example, the price of medications is not mentioned on the main page. Instead, users have to look for prices ii the “Order Now” section. Also, there are no deal or discount coupons. Instead of basic information, the website has too much detail that might be unnecessary. Another major issue with the website is it only selling four products, which makes it extremely strange. Although, the website does have a customer support center but due to the absence of reviews, it is hard to asses whether or not it is up to the standard. The online pharmacy is considered rogue on almost all the scam alert websites, which certainly raises questions against its credibility. It is pretty evident that the website does not match the required standards, which is why we give it 1 star out of 5. The ratings can certainly change in the upcoming days, provided the pharmacy gets a positive feedback from the customers.